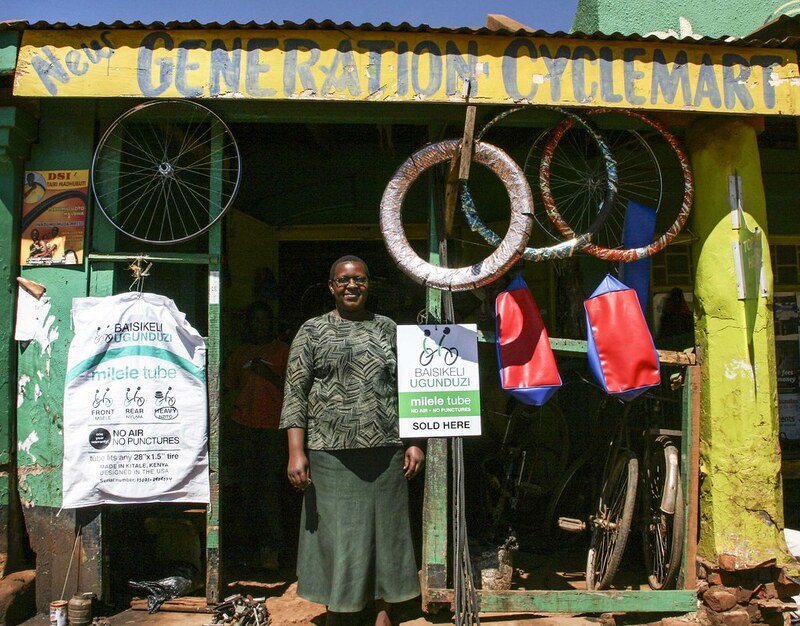 Baisikeli Ugunduzi’s first product permanently eliminates the biggest problem with bicycles, flat tires. The Milele Tube uses a flexible solid tube and replaces conventional pneumatic tubes. 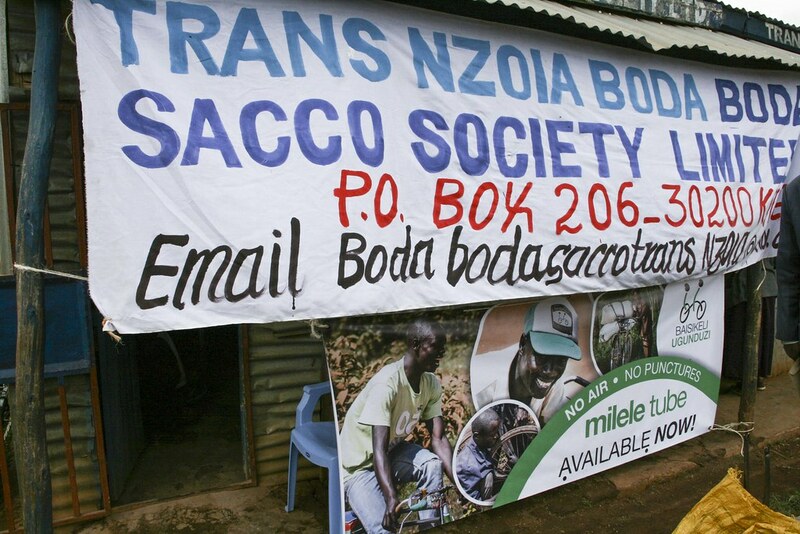 Boda boda (bicycle taxis) spend around a quarter of their income fixing flat tires alone! 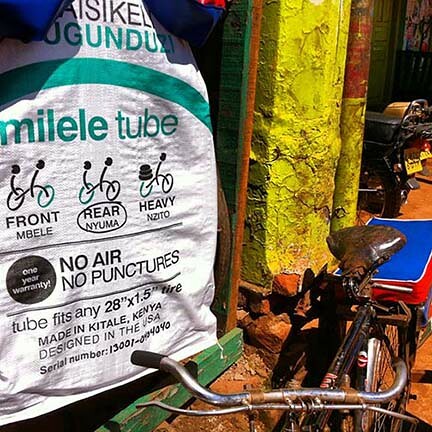 The Milele Tube eliminates the risk of a flat tire and the burden of costly and frequent tube repairs. This technology lasts several years, never flats, doesn't need air, can be reused as tires wear out and rides like conventional tubes.